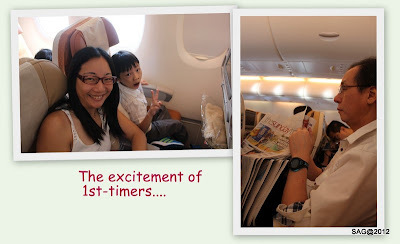 Our 8 day vacation to Hong Kong began in the early hours of a Sunday morning. 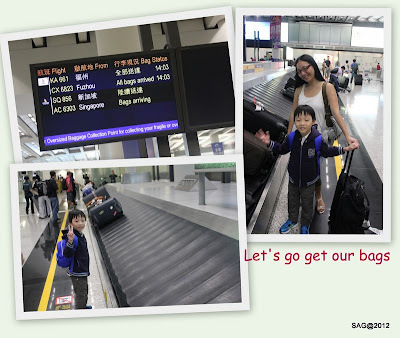 Gu Gu and Ah Ma came to pick us up to the airport. We had a light meal before going in. 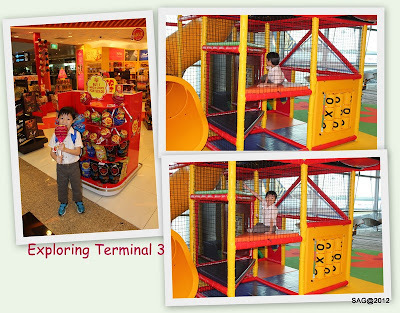 As this was the 1st time we actually departed from Terminal 3, we decided to go in earlier to explore what T3 had to offer to travellers. I must say, it is pretty comprehensive. They offered Foot Reflexlogy outlets, free lounge area for the weary travellers and even an indoor playground for the little ones. 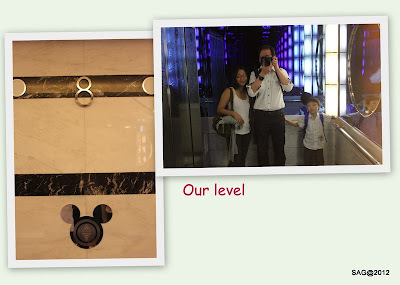 Guess where we ended up spending most of the time? Oh... and did I mention? 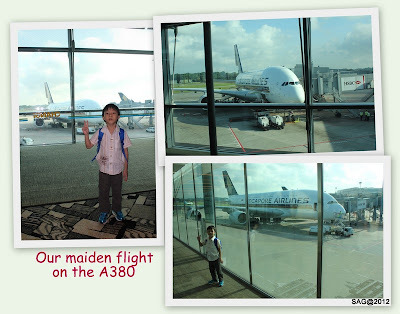 We will be flying on the A380. Woo hoo! Just cannot wait to board the plane. 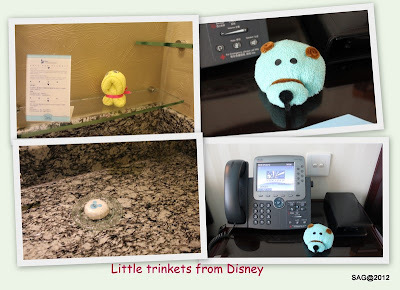 I quite like the fact that the crew prepared child-specific items for the little ones. Even the heahphones were in bright colours as opposed to the black ones that we had. 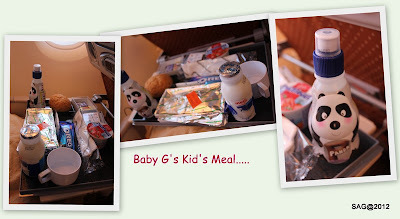 Even the Kid's Meal was prepared and arranged with the child in mind. 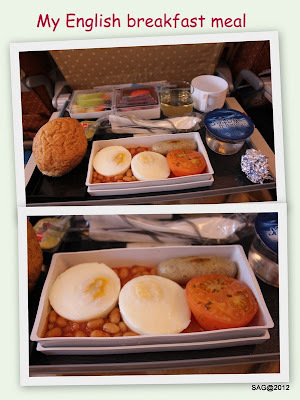 I chose the English Breakfast meal. 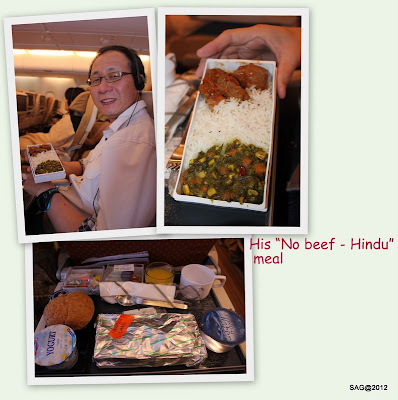 As for Alex, at point of booking, we informed the reservations officer that he doesn't want any beef with his meal. 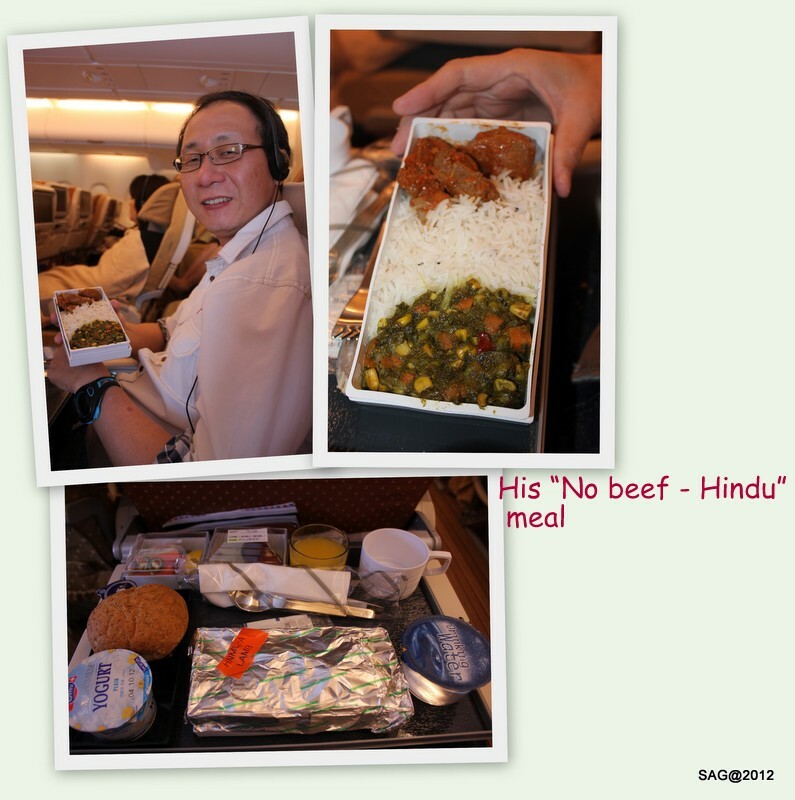 When the flight attendant came over, she said, "Sir, your meal is the no-beef, Hindu meal". At first we didn't really take much notice, until the meal came and then we realised the Reservations Officer must have thought he opted for the Indian meal. We had a good laugh over it. Lucky the meal was pretty nice. 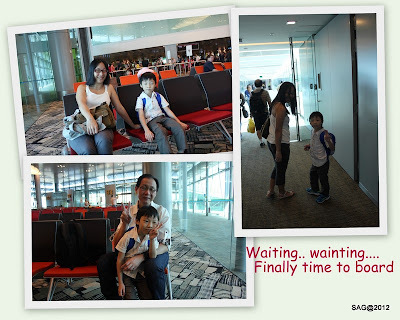 After thoroughly enjoying ourselves on the A380, we finally arrived at the Hong Kong International Airport. 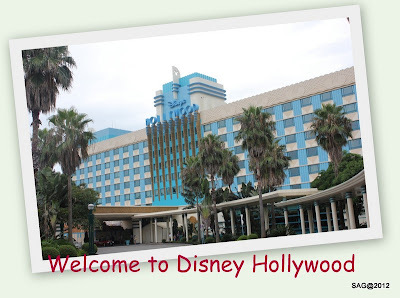 We quickly collected our luggages and met the tour guide to take us to Disney. 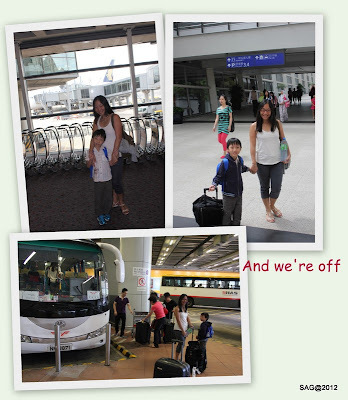 The bus that picked us up was the 26-seater bus but there were only 2 families. Ours and another family of 4. What a waste of resources, I say. 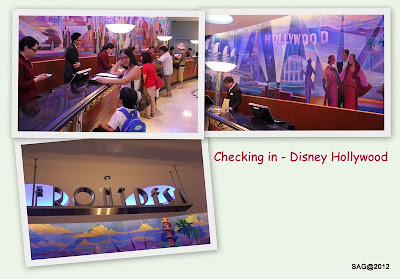 Finally we reached the front door of the Disney Hollywood Hotel. Very colourful atmosphere. 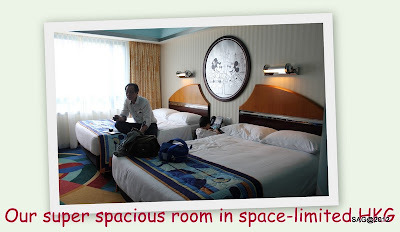 I must say, our room was rather spacious, considering how notoriously cramped rooms on Hong Kong can be. 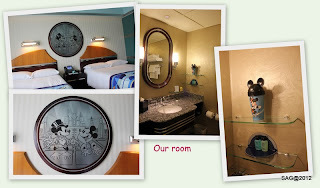 We had 2 queen-sized beds. I know I am going to have a comfortable night's sleep. 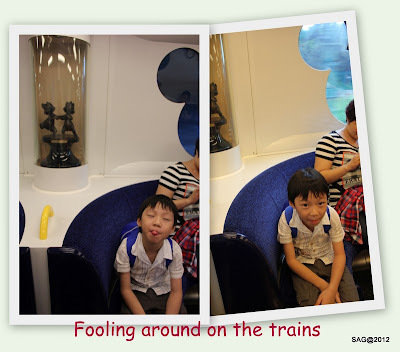 The Disney trains were so cute. 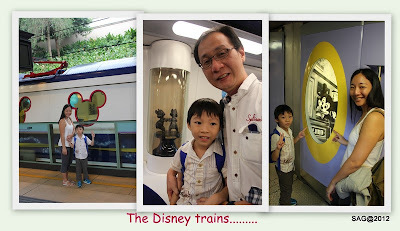 Even the windows to the trains were in the shape of Mickey. 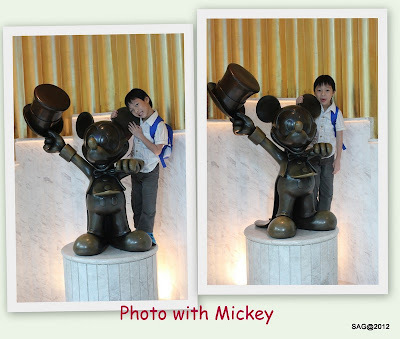 I know I sound so 'sua-ku' but seriously, it's my first time at Disney, so please bear with me. 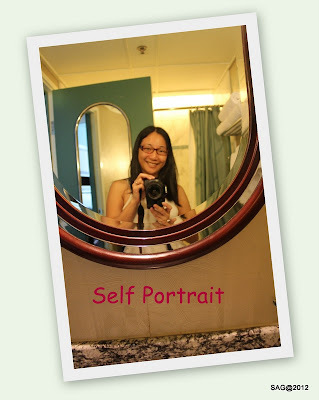 Every little thing about the train also must take photo. 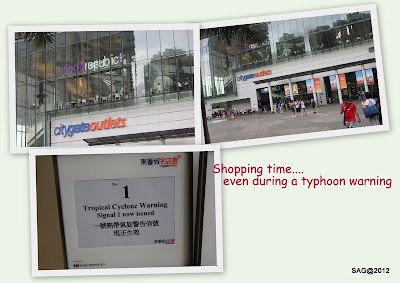 1st stop is Tung Chung.... shopping at Citygates Outlet stores. 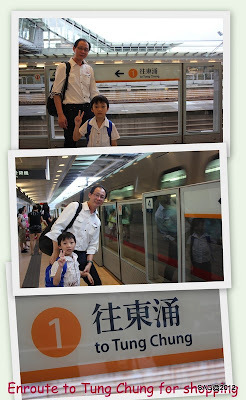 Since it is supposed to be the sales period in Hong Kong, we were hoping to grab some good buys. 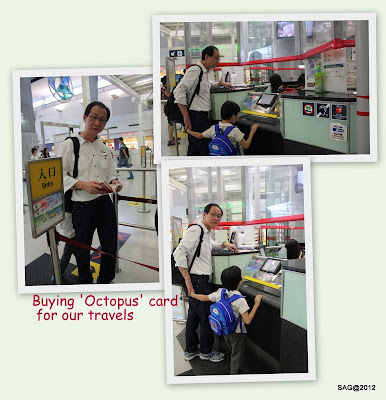 But first, we need to get our 'Octopus' card for our travels since we plan to take the MTR pretty regularly. 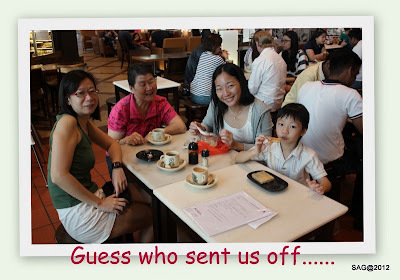 Too busy shopping, so not much photos of us subsequently. 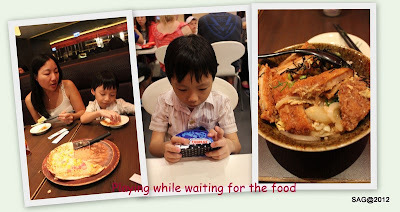 But we did manage to find time to rest and have dinner at a Japanese restaurant. Finally, we were shopped out. Although we expected to get a lot of stuff but in the end, a lot of the items didn't carry our sizes so pretty disappointing. We did, however, manage to get some discounted items at Espirit (for Alex) and Adidas/Nike (for me). 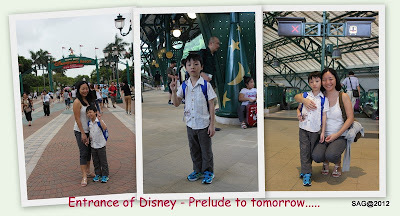 The best was at Giordano where we simply just grabbed lots of T-shirts and shorts. 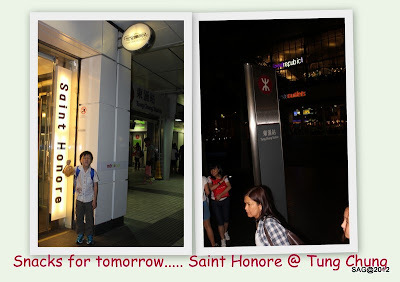 And finally, our last stop for the day, Saint Honore for some snacks for tomorrow. Just in case, we get hungry. And that ends Day 1 of our Hong Kong trip.